Production: RKO Radio Pictures Corp.; black and white, 35mm, running time: 120 minutes. Released 1 May 1941, New York. Filmed 30 July through 23 October 1940 in RKO studios; cost: $686,033. Producer: Orson Welles; original screenplay: Herman J. Mankiewicz and Orson Welles; photography: Gregg Toland; editors: Robert Wise and Mark Robson; sound recordists: Bailey Fesler and James G. Stewart; art director: Van Nest Polglase; music: Bernard Herrmann; special effects: Vernon L. Walker; costume designer: Edward Stevenson. Cast : Orson Welles ( Charles Foster Kane ); Buddy Swan ( Kane, Aged 8 ); Sonny Bupp ( Kane 3rd ); Harry Shannon ( Kane's Father ); Joseph Cotten ( Jedediah Leland ); Dorothy Comingore ( Susan Alexander ); Everett Sloane ( Mr. Bernstein ); Ray Collins ( James W. Gettys ); George Coulouris ( Walter Parks Thatcher ); Agnes Moorehead ( Kane's Mother ); Paul Stewart ( Raymond ); Ruth Warrick ( Emily Norton ); Erskine Sanford ( Herbert Carter ); William Alland ( Thompson ); Georgia Backus ( Miss Anderson ); Philip van Zandt ( Mr. Rawlston ); Gus Schilling ( Head Waiter ); Fortunio Bonanova ( Signor Matiste ). Awards: Oscar for Best Original Screenplay, 1941; New York Film Critics Award, Best Picture, 1941. Mankiewicz, Herman J., and Orson Welles, "The Shooting Script," in The Citizen Kane Book , by Pauline Kael, Boston, 1971. Citizen Kane Script Book , New York, 1991. Bazin, André, Orson Welles , Paris, 1950. Cowie, Peter, The Citizen Kane Book , Boston, 1971. Bogdanovich, Peter, and Orson Welles, This Is Orson Welles , New York, 1972. Cowie, Peter, A Ribbon of Dreams: The Cinema of Orson Welles , New York, 1973. Gottesman, Ronald, editor, Focus on Orson Welles , Englewood Cliffs, New Jersey, 1976. Naremore, James, The Magic World of Orson Welles , New York, 1978. Kawin, Bruce, Mindscreen: Bergman, Godard, and First-Person Film , Princeton, New Jersey, 1978. Carringer, Robert L., The Making of Citizen Kane , Berkeley, 1985; revised, 1996. Jarvie, Ian, Philosophy of the Film: Epistemology, Ontology, Aesthetics , London, 1987. Joxe, Sandra, Citizen Kane, Orson Welles , Paris, 1990. Lebo, Harlan, Citizen Kane: The Fiftieth-Anniversary Album , New York, 1990. Berthome, Jean-Pierre, Citizen Kane , Paris, 1992. Mulvey, Laura, Citizen Kane , London, 1992. Cahill, Marie, Citizen Kane , New York, 1993. Gottesman, Ronald, editor, Perspectives on Citizen Kane , New York, 1996. Pritt, Emile, in New Masses (New York), 4 February 1941. Sage, M., in New Republic (New York), 24 February 1941. Tolan, Gregg, "Realism for Citizen Kane ," in American Cinematographer (Los Angeles), February 1941. Life (New York), 17 March 1941. O'Hara, John, in Newsweek (New York), 17 March 1941. Time (New York), 17 March 1941. Crowther, Bosley, in New York Times , 2 May 1941. Herrmann, Bernard, in New York Times , 25 May 1941. Toland, Gregg, "How I Broke the Rules in Citizen Kane ," in Popular Photoplay Magazine (New York), June 1941. The Times (London), 13 October 1941. Leenhardt, Roger, in Ecran Francais (Paris), 3 July 1946. Doniol-Valcroze, Jacques, in Revue du Cinéma (Paris), Decem-ber 1946. Manuel, Jacques,"Essai sur le style d'Orson Welles," in Revue du Cinéma (Paris), December 1946. Toland, Gregg, "L'Operateur de prises de vues," in Revue du Cinéma (Paris), January 1947. Chartier, Jean-Pierre, in Revue du Cinéma (Paris), January 1947. Viazzi, Glauco, in Bianco e Nero (Rome), July 1948. Bazin, André, and Jean-Charles Tacchella, interview with Welles, in Bianco e Nero (Rome), 21 September 1948. Sarris, Andrew, " Citizen Kane: American Baroque," in Film Culture (New York), no. 2, 1956. Pariante, Roberto, "Orson Welles from Citizen Kane to Othello ," in Bianco e Nero (Rome), March 1956. "L'Oeuvre d'Orson Welles," in Cahiers du Cinéma (Paris), Septem-ber 1958. Domarchi, Jean, "America," in Cahiers du Cinéma (Paris), July 1959. Coursodon, Jean-Pierre, in Cinéma (Paris), no. 43, 1960. Stanbrook, Alan, "The Heroes of Orson Welles," in Film (London), no. 28, 1961.
" Citizen Kane Issue" of Avant-Scène du Cinéma (Paris), Janu-ary 1962. Capdena, Michel, "Citizen K," in Lettres Françaises (Paris), 27 December 1962. Cutts, John, in Films and Filming (London), December 1963. McBride, Joseph, in Film Heritage (Dayton, Ohio), Fall 1968. Sarris, Andrew, in Village Voice (New York), 15 April 1971, 27 May 1971, and 3 June 1971. Bordwell, David, in Film Comment (New York), Summer 1971. Comolli, Jean-Louis, "Technique et Idéologie: Caméra, perspective, profondeur de champ," in Cahiers du Cinéma (Paris), January-February 1972. Cohen, H., "The Heart of Darkness in Citizen Kane ," in Cinema Journal (Evanston, Illinois), Fall 1972.
" Citizen Kane Issue" of Chaplin (Stockholm), vol. 15, no. 2, 1973. Burch, Noël, "Propositions," in Afterimage (London), Spring 1974. Mass, R., "A Linking of Legends: The Great Gatsby and Citizen Kane ," in Literature/Film Quarterly (Salisbury, Maryland), Sum-mer 1974. Smith, J., "Orson Welles and the Great American Dummy," in Literature/Film Quarterly (Salisbury, Maryland), Summer 1974. Ciment, Michel, "Ouragans autour de Kane," in Positif (Paris), March 1975. Champlin, Charles, "More about Citizen Kane ," in American Cinematographer (Los Angeles), April 1975. "Semiotics and Citizen Kane ," in Film Reader (Evanston, Illinois), no. 1, 1975. Carringer, Robert, " Citizen Kane, The Great Gatsby , and Some Conventions of American Narrative," in Critical Inquiry (Chi-cago), Winter 1975. Pitiot, P., and H. Behar, in Image et Son (Paris), September 1976. Firestone, B. M., "A Rose Is a Rose Is a Columbine: Citizen Kane and William Styron's Nat Turner ," in Literature/Film Quarterly (Salisbury, Maryland), Spring 1977. Gambill, N., "Making Up Kane," in Film Comment (New York), November-December 1978. Jaffe, I. S., "Film as Narration of Space: Citizen Kane ," in Literature/Film Quarterly (Salisbury, Maryland), no. 2, 1979. Toeplitz, J., "Von einem, der Karriere macht: Orson Welles in Hollywood der dreissiger Jahre," in Film und Fernsehen (East Berlin), no. 2, 1979. Westerbeck Jr., C. L., in Commonweal (New York), 22 June 1979. Clipper, L. J., "Art and nature in Welles' Xanadu," in Film Criticism (Edinboro, Pennsylvania), Spring 1981. Haustrate, G., in Cinéma (Paris, July-August 1981. Houston, Beverle, "Power and Dis-Integration in the Films of Orson Welles," in Film Quarterly (Berkeley), Fall 1985. Left, L. J., "Reading Kane," in Film Quarterly (Berkeley), Fall 1985. Beja, M., "Orson Welles and the Attempt to Escape from Father," in Literature/Film Quarterly (Salisbury, Maryland), vol. 13, no. 1, 1985. Maxfield, J.F., "A Man Like Ourselves: Citizen Kane is Aristotelean Tragedy," in Literature/Film Quarterly (Salisbury, Maryland), vol. 14, no. 3, 1986. Jones, Elizabeth, "Locating Truth in Film, 1940–80," in Post Script (Jacksonville, Florida), Autumn, 1986. Tomasulo, Frank P., "Point-of-View and Narrative Voice in Citizen Kane' s Thatcher Sequence," in Wide Angle (Athens, Ohio), vol. 8, nos. 3–4, 1986. Tarnowski, J.-F., "Le Prologue," in Revue du Cinéma (Paris), May 1987. Rathgeb, Douglas L., "Fates in the Crowd: Illuminating Citizen Kane Through Woody Allen's Zelig ," in Post Script (Jacksonville, Florida), Spring-Summer 1987. Rosenbaum, Jonathan, and others, "Dialogue: On Viewer Response to Citizen Kane ," in Cinema Journal (Champaign, Illinois), Summer 1987. Bates, Robin, "Fiery Speech in a World of Shadows: Rosebud's Impact on Early Audiences," in Cinema Journal (Champaign, Illinois), Winter 1987. Morrison, J., "From Citizen Kane to Mr. Arkadin: The Evolution of Orson Welles's Aesthetics of Space," in New Orleans Review , no. 3, 1989. Nielsen, N. A., "Et allerhelvedes perspektiv," in Kosmorama (Co-penhagen), Fall 1989. Ropars-Wuilleumier, M.-C., "Narration and Signification: A Filmic Example," in Quarterly Review of Film and Video (New York), no. 4, 1990. 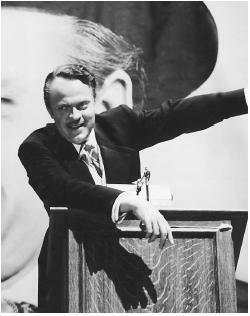 Rosterman, R., " Citizen Kane: 50 Years of Controversy," in Hollywood: Then and Now (Studio City, California), no. 7, 1991. Vergne, F., " Citizen Kane e Confidential Report di Orson Welles: la retorica dei ricordo," in La Cosa Vista (Trieste), no. 16–17, 1991. Kyff, Robert S., "Even After 50 Years, Citizen Kane Resonates with a Clarity Both Technical and Allegorical," in Chicago Tribune , 1 May 1991.
van der Burg, J., "Toevalstreffer van de eeuw," in Skoop (Amster-dam), July-August 1991. Toland, G., "Realism for Citizen Kane ," in American Cinematographer (Hollywood), August 1991. Sarris, A., "For and Against Kane," in Sight and Sound (London), October 1991. Hogue, P., "The Friends of Kane ," in Film Comment (New York), November-December 1991. Maland, C., "Memories and Things Past: History and Two Biographical Flashback Films," in East-West Film Journal (Honolulu), no. 1, 1992. La Polla, F., "Welles e la frequentazione delle tenebre." in Quaderni di Cinema (Florence), July-September 1992. Kovacs, A. B., "Minden idok. . . ," in Filmvilag (Budapest), no. 6, 1993. Pipolo, T., "Screen Memories in Citizen Kane ," in P.O.V. (Brussels), no. 10, 1993. Altman, Rick, "Deep-Focus Sound: Citizen Kane and the Radio Aesthetic," in Quarterly Review of Film and Video (Reading), vol. 15, no. 3, December 1994. Welles, Orson, "Orson Welles par Orson Welles," in Positif (Paris), no. 418, December 1995. Kan, E., "Great Beginnings . . . and Endings," in P.O.V. (Brussels), no. 2, December 1996. Thomson, D., "Ten Films that Showed Hollywood How to Live," in Movieline (Escondido, California) vol. 8, July 1997. "Everything that matters in cinema since 1940," François Truffaut has suggested, "has been influenced by Citizen Kane. " It is not surprising, then, that Citizen Kane should be one of the most written about films in cinema history; nearly every major critic since André Bazin has felt compelled to discuss it, among them Andrew Sarris, Peter Cowie, David Bordwell, Joseph McBride, and Bruce Kawin. Of the various critical approaches taken to the film, the most trivial, though in some respects the most common, is to understand Citizen Kane as an only slightly disguised biography of William Randolph Hearst. Hearst certainly took it that way, and was largely responsible, through the influence of his newspaper syndicate (which refused to review RKO films for a time), for the film's box-office failure, despite the generally enthusiastic response of the critics. Pauline Kael did much to revive this line of thinking in her 1971 "Raising Kane" essay. Kael's point is essentially negative. Movies in general "are basically kitsch ," though on occasion kitsch "redeemed." Citizen Kane is a case in point, especially given its reputation, and that of Orson Welles. Indeed, much of Kael's essay is devoted to showing that aspects of Kane normally attributed to Welles really represented or were indebted to the work of others—to Gregg Toland's cinematography, to the conventions of Hollywood newspaper comedy, and especially to Herman J. Mankiewicz, to whom Kael attributes the entire script. Her point even here, however, is that Mankiewicz largely retold the story of William Randolph Hearst ("What happened in Hearst's life was far more interesting" Kael argues at one point)—so that the process of making Citizen Kane is pictured largely as a process of disguise and oversimplification, begun by Mankiewicz and only finished by Welles. What Kael clearly fails to see is the irrelevance of her whole approach (not to mention its basic inaccuracy in regard to historical fact). As François Truffaut puts it: "It isn't San Simeon that interests me but Xanadu, not the reality but the work of art on film." To see the film as a denatured version of some past reality is simply not to see the film. In sharp contrast to Kael's variety of historicism is the approach taken by André Bazin in his work on Welles. Rather than read the "story" of Citizen Kane against the background provided by the life of Hearst, Bazin focuses on film style in Citizen Kane especially on the degree to which style "places the very nature of the story in question." And rather than describe film style in Citizen Kane as being consistent with that of Hollywood generally (as Kael does in part), Bazin suggests that Welles' reliance on the sequence shot (or long take) and deep focus represents an important break with classical cinematic practice and with the viewing habits derived from it. Classical editing, according to Bazin, "substituted mental and abstract time" for the "ambiguity of expression" implicit in reality; whereas "depth of focus reintroduced ambiguity into the structure of the image" by transferring "to the screen the continuum of reality," in regards both to time and space. "Obliged to exercise his liberty and his intelligence, the spectator perceives the ontological ambivalence of reality directly, in the structure of its appearances." There are problems with such an ontological approach to cinema (it focuses on sequences rather than on whole films, for instance); but Bazin's emphasis on the ambiguity of appearances in Welles is consistent with a third approach to Citizen Kane which sees the film as an early instance of the fragmented modernist narrative. In the words of Robert Carringer, the fact that Kane's story in the film is told from several perspectives, by several different characters, "reflects the Modernist period's general preoccupation with the relativism of points of view." Indeed, the film's "main symbolic event" is not the burning of Kane's "Rosebud" sled but rather the shattering of the little glass globe, which thus stands "for the loss of 'Kane-ness,' the unifying force behind the phenomenon of Kane." Accordingly, the effort undertaken by Thompson, the newsreel reporter, to uncover the secret of Kane's life by tracking down the meaning of "Rosebud" through interviewing Kane's friends and associates can be seen as a paradigm of the human desire to simplify the complex, though Thompson himself becomes increasingly cynical about the prospect of making sense of Charles Foster Kane. It is arguable, however, that Thompson's cynicism—summed up when he says "I don't think any word can sum up a man's life"—is itself suspect for assuming that complexity is antithetical in intelligibility. Central to such a view of Kane is the premise that multiple narratives serve to cast doubt. And in a film such as Kurosawa's Rashomon (to which Kane is often compared) such is certainly the case. But the narrative of Citizen Kane may well work differently, at different "levels" of narration. The reporter himself comprises the first "level" of narration—in the newsreel he watches, and in the interviews he conducts. The interviews, then, constitute a second level of narration, in that they are embedded in the first. It is arguable, however, that a third level of narration exists. It can be seen in the "framing" sequences, which take us up to and then away from the gates of Xanadu; it can also be seen in the fact that the narratives of all those interviewed contain material that the person telling the tale could not have known, even at second hand (as if each such narrative were being "re-narrated"). But the third level of narration is most clearly evident in a series of visual metaphors (the recurrent visual figure of the window or door frame, for example, which repeatedly serves to cut one character off from others) which remain constant throughout the film, both in the flashbacks and in the reporter's narrative, regardless of who is ostensibly narrating the sequence. Accordingly, we can say that the entire film constitutes a single narrative with other narratives embedded; that the narratives work at different levels disallows easy assumptions that they cancel each other out, no matter how partial or biased any one narrative might be. In terms of style and narrative, then, Citizen Kane is a film of remarkable complexity and depth; yet in thematic terms, Citizen Kane is also a hymn to failure. Kane's failure to put his remarkable energy to real use, Thompson's failure to find real meaning in Kane's life story. The shame, in Kane's case, is that his tremendous capacities and resources are wasted, used up; the closing shot of Xanadu, the smoke of Kane's burning possessions pouring from a chimney, recalls the factory smokestacks of the film's newsreel sequence, as the chainlink fence recalls the factory fences. The shame in Thompson's case is that he contributes to this waste by refusing to get to the point, refusing to see how thoroughly Kane was a product of his circumstances, as much victim as victimizer. But we need not follow Thompson's lead in this, however cinematically marvellous Citizen Kane might be. The sense is ours to make.